Her passion and mission is to prevent obesity, chronic disease and malnutrition in children, through education and advocacy of healthy living. This sprang from her life changing experiences at the Hippocrates Health Institute (HHI) in West Palm Beach, Florida. Crippled from arthritis and substance abuse, Betsy was gifted by her son with the HHI three-week transformational life program, which healed her and inspired her to become certified as an HHI Health Educator. 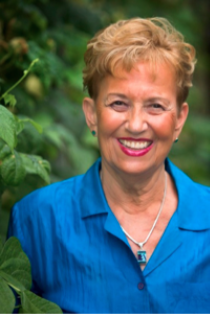 Now revitalized, at 80 years of age, Betsy is Executive Director of the non-profit Optimum Health Solution and founder of Real Kids Real Food, a healthy after-school program for at risk, low income, inner-city children ages 5 – 12. Betsy’s background includes being a Director of the Middlesex County Employment and Training Program for Refugees and Immigrants; a teacher from kindergarten through college; a principal of Lindsley Associates working on economic and social programs with the United Nations, USAID and Central American Bank in the West Indies, the Philippines, Japan and El Salvador. Her varied background also includes being a career counselor for students, the unemployed and the disabled, computer consultant, and chef. Betsy received her Bachelor’s degree from Smith College in History and English, a Master’s in Counseling and Education from Stanford University and Harvard University, a Master’s in Education from Boston University in the Administration of Multi-Cultural Non-Profit Organizations and a Certificate as a Hippocrates Health Educator.